This Black-Throated Sparrow (Amphisipiza billneata) that we found at Sam Nail’s homestead in Big Bend National Park, reminded me of Zorro. I could hear him speaking in an Antonio Banderas Spanglish accent. 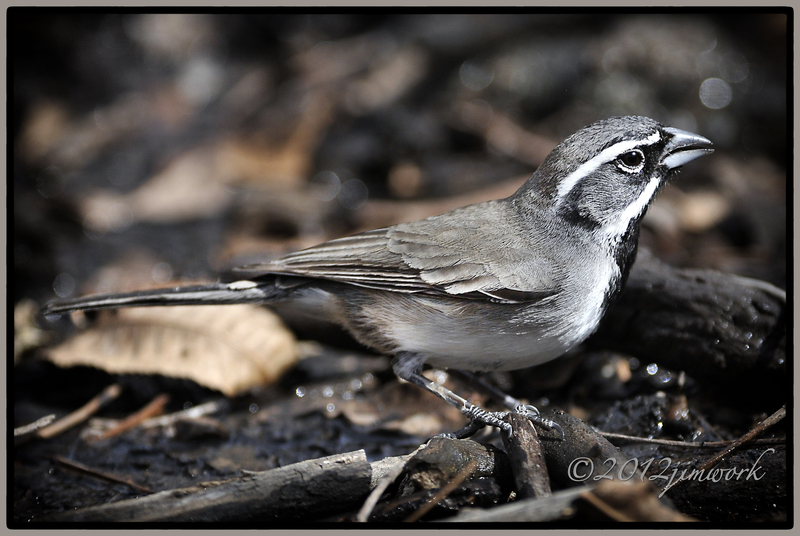 The Black-Throated sparrow is appropriately also known as the Desert Sparrow. They can survive long periods of time without water getting their needed moisture from seed and the insects of their diet. A group of sparrows are known as a “crew’, “flutter”, “meinie”, “quarrel” and “ubiquity”.